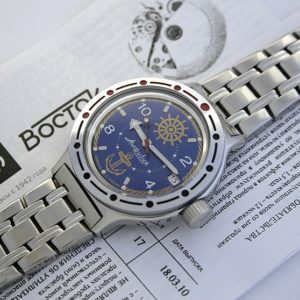 Russian automatic (self winding) movement Vostok 2415.01 with 31 Ruby jewels. Power reserve 31 hours. Mean diary rate -20 +60 s/day. Central second hand. Shock resistant. 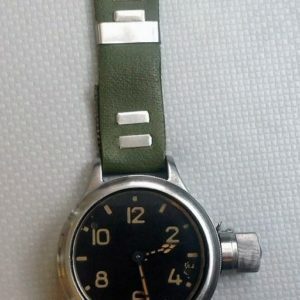 Water Resistant 20 ATM or 200 meters. 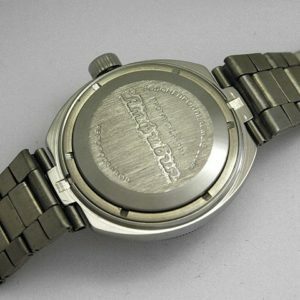 All stainless steel case. Mineral glass. 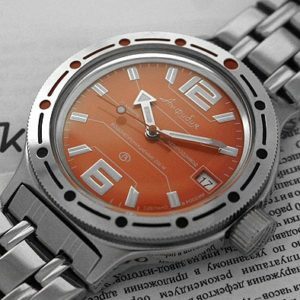 Uni-directional rotating stainless steel bezel. Full luminous dial. Screw-down crown with logo (diameter of the crown 7mm) . Size: 42 mm x 16 mm. Brand new watch. Made in Russia (2019). 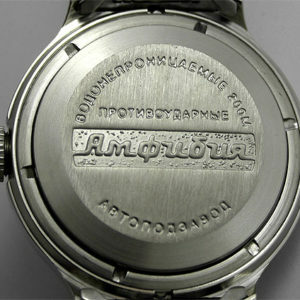 Original Vostok Amfibia stainless steel bracelet (20mm).